Hey, check out some kawaii pagedolls/chibis~ Please consider checking out the artists! Please be aware most of these commissions will only be traditionally drawn. That means no digital work included whatsoever. A chibi head shot/portrait of the character of your choice. A portrait of the character of your choice. Half body of character of your choice. Full body of character of your choice. 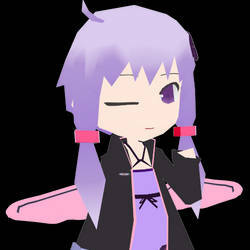 I make MMD and Kisekae work! CJSmileyz has started a donation pool! Some perks if you donate! guys idk if anyone sees these statuses anymore oof but anyway would anyone like to collab or something or can anyone somehow revive my account? anyone still out there? I miss dA a lot and honestly my 2016/2017 self is skncncbg -- yea anyone wanna hmu for a chat? or any requests? just wanna see if any of my watchers or friends are still around. What did I miss? I hope nothing bad has happened to anyone. Sorry, I was really planning to become active on dA again, but it didn't work out ;-;. Jan 22, 2019 anyone still there? Jan 1, 2019 Happy new year! Oof! Hey it's me- i'm kind of dead on DA but its RaddleBerri ! It's April 5th which means it's that time of the year again and your special day is here! We hope you have an awesome day with lots of birthday fun, gifts, happiness and most definitely, lots of cake! Here's to another year!